Region 6 Education Service Center provides information, resources, professional development, technical assistance, and training opportunities for educators working with students who are diagnosed on the autism spectrum. 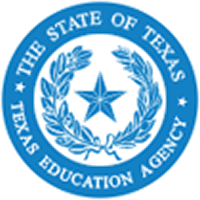 Region 6 Education Service Center provides technical assistance to teachers who administer the STAAR Alternate 2 assessment. 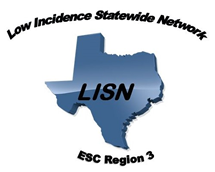 Texas Statewide Leadership for Autism Training (TSLAT) - Through the network of 20 regional Education Services Centers around the state and in conjunction with the Texas Education Agency (TEA), the TSLAT provides access to training, technical assistance, support, and resources for educators who serve students with autism. 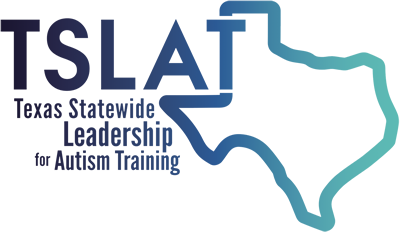 Texas Statewide Leadership for Autism Training (TSLAT) Free online training modules for educators. The Autism Circuit Free online training modules for educators. The National Professional Development Center on Autism Spectrum Disorder Free online training about ASD. Autism Internet Modules (AIM) Free online training about ASD. Autism Speaks Transition Resources Free online resources. The Autism Helper- Free resources and weekly blog to support educators working with individuals diagnosed with ASD. New essence statements can be found at the following link.